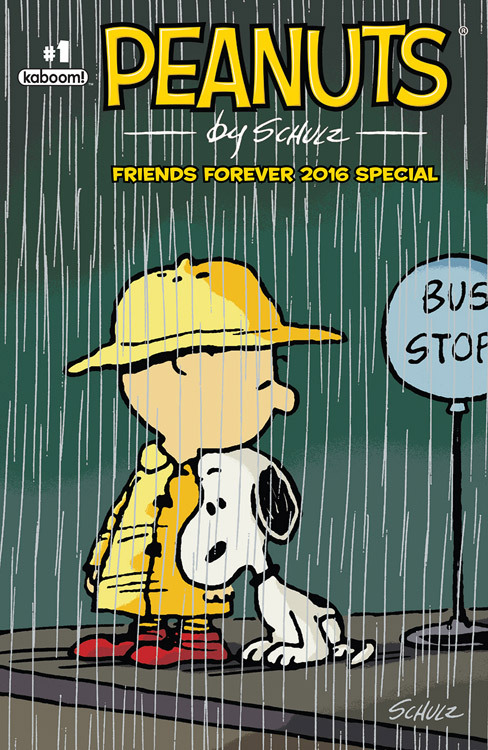 The final issue of Boom Studio's Peanuts comic book line, Peanuts: Friends Forever 2016 Special #1, is now on sale. Released on Wednesday, July 6, the series goes out big with an extra-long magazine featuring three stories - "Dress to Depress," "Sally Brown on Reading," and "Daisy Hill Days" - accompanied as always by a few classic Sunday Peanuts comic strips. Visit Comic Book Resources for a five-page preview. Your local comic book store should be able to order it for you, if they don't have it in stock already. We're sorry the Peanuts comic book has come to an end, but at 39 issues, it's had a pretty good run!